It is natural for most people to slouch over and/or slouch down while seated for an extended amount of time. Over time, this posture can contribute to or worsen back problems. Often we cannot help but be seated for hours on end when we have an office job. However, you do not simply have to put up with the discomfort: there are ways to reduce the pressure it puts on your body. 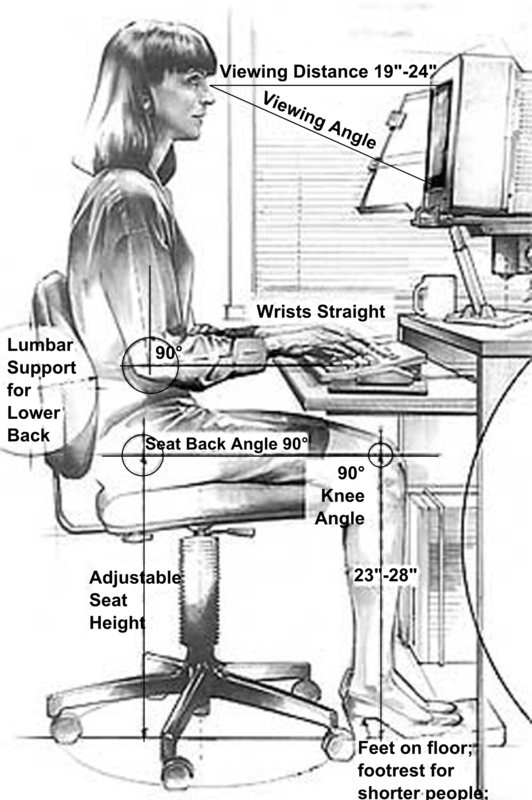 As previously mentioned, the majority of us maintain poor posture while seated. Efforts to improve your posture will decrease back pain and body strain over time. Improving your posture, especially at the beginning, can feel unnatural and a requires a lot of perseverance. However, it is worth it. When seated in an office chair or similar, it is important that your back aligns with the back of the chair. Try to avoid sloughing and correct yourself when you realise you have been leaning forward for a while. Additionally, your knees should align with your hips and both feet should be flat on the ground. There are office chairs available that help with posture by providing adjustable height and back recline settings. It is beneficial to invest in a good chair that you use when working long hours. However, it is also necessary that you remember to take short breaks to stretch and walk around. Sitting for hours on end can cause your body to strain and make you feel stiff. A massage chair can help greatly with stiffness and aches. It not only supports your back, but it increased leg circulation. Many massage chairs on the market, like the one in the image, have a number of different vibrative massage points to target your upper and lower back. 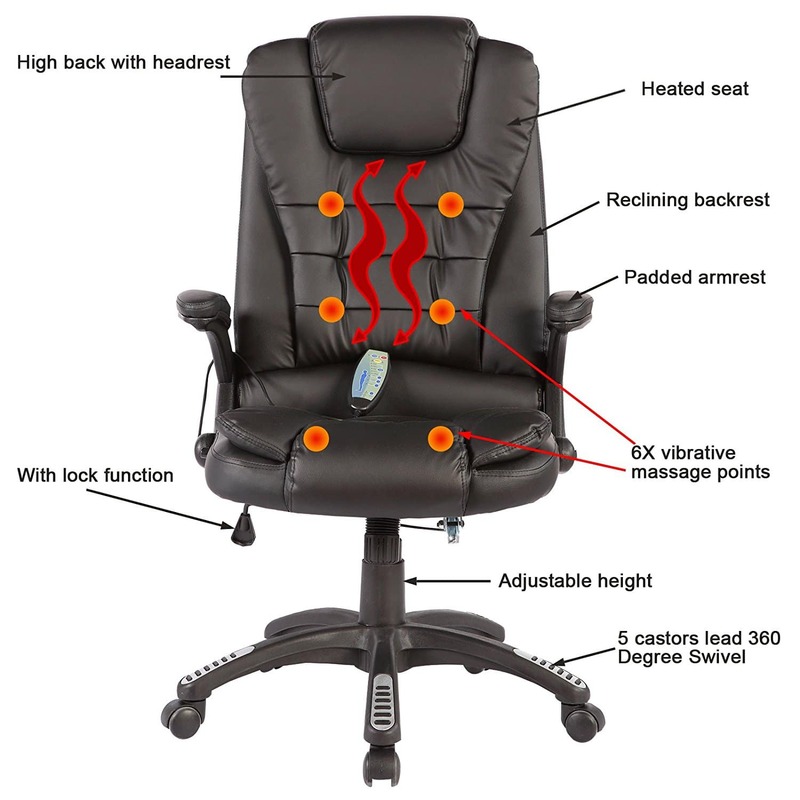 Furthermore, there are comfortable office chairs available that provide both heat and vibrative massage functions. Experience a new level of comfort with a chair that fits all your needs. Although they may not be extremely practical for most office environments, if possible, or if you are freelance and work from home, an exercise ball in place of a typical chair can be very beneficial and rewarding. They promote active sitting and keep your abdominal and back muscles active as they are used to help keep you balanced on your exercise ball. There are different sizes available so be sure to check for a size to suit your body your workspace. Another benefit is that you can store them virtually anywhere as they are inflatable. For more inflatable chairs make sure to check out this guide on how to find the right fit. 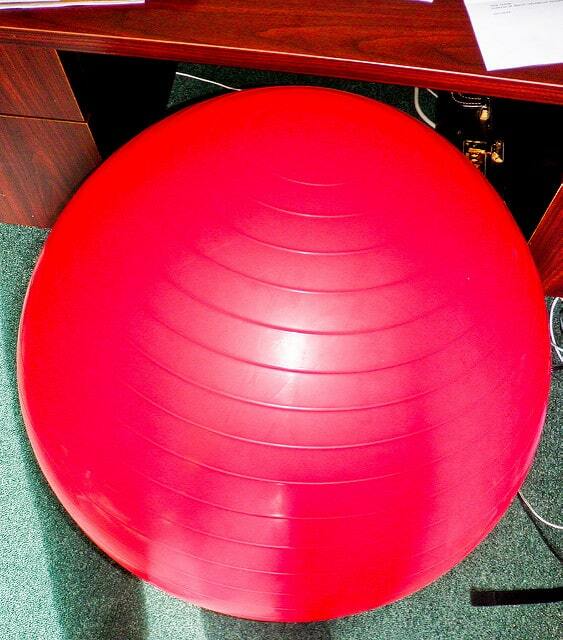 As well as using it as a seat, there are also many exercises to do on an exercise ball to help with lower back pain. Remembering to stay hydrated and drink water throughout the day as you work has many health benefits. 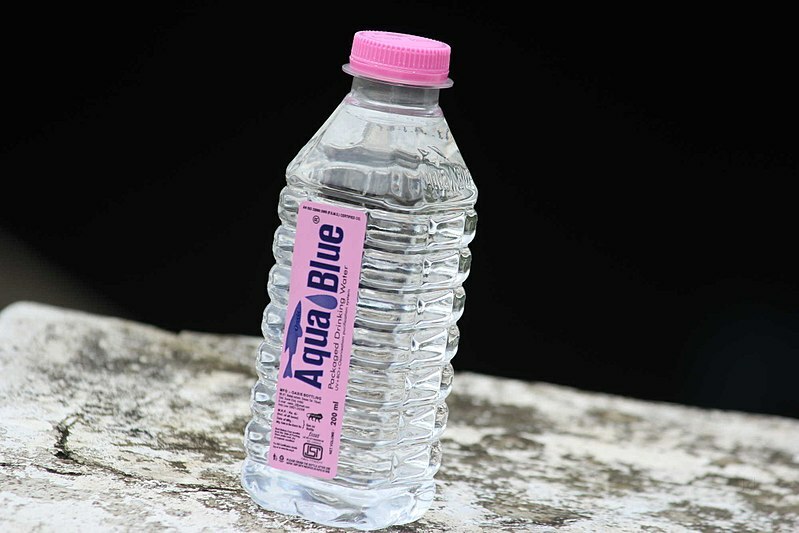 With regard to easing stress on your body caused by sitting all day, drinking the recommended daily water intake of 2 litres will almost force your body to get up, shake a leg, and go on a bathroom break. Otherwise, you may only get up and move during your lunch break and at no other point throughout the working day. Yoga is known for being multi-beneficial: it aids the mind and the body. When it comes to back pain, yoga releases tight muscles and alleviates pain. It should be noted that whether you suffer from acute or chronic back pain, it is best that you check with your doctor before beginning a new exercise routine. For beginners, there are a number of yoga poses that you can do without leaving the ground. Then, as you become more confident with practicing the easier poses, there are many other back-pain-relieving poses to try. A heated chair will be your new best friend at the office. 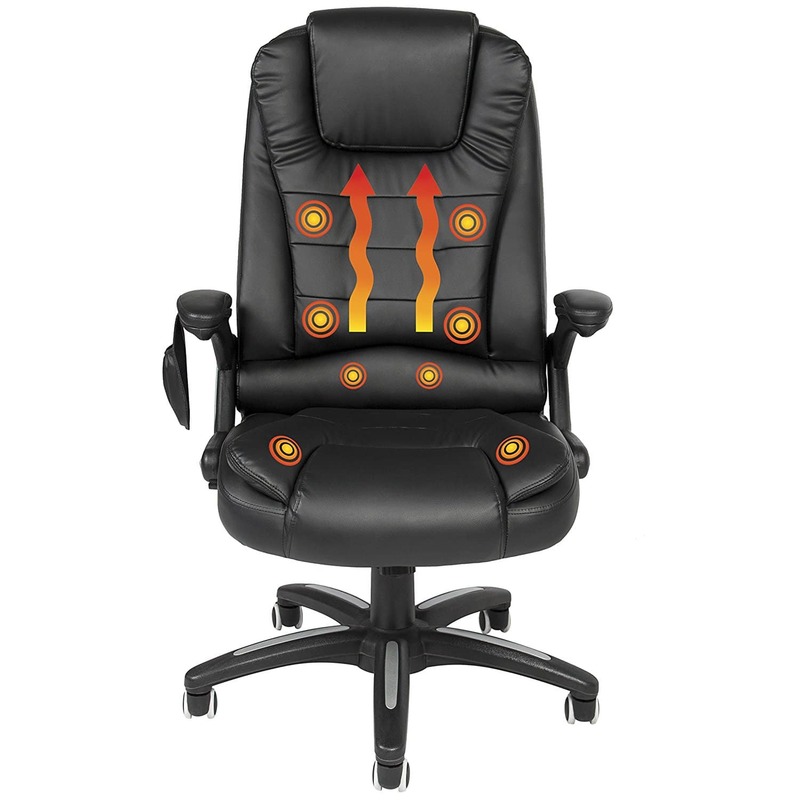 A heated office chair is not only beneficial when it comes to keeping you warm during the winter months, but also for providing you with all the benefit of heat for your body. Heat is known to ease pain and soothe the body’s muscles. It also aids greatly in relaxation. There are many high-quality heated chairs available, like the one in the image, that also support your body and adjust to suit your needs. As well as there being a selection of heated office chairs available, you can also buy heated cushion seats for your car. On top of them being beneficial for you back on long road trips and commutes to work, they also mean you do not have to wait until the car engine heats up and the heating begins to work for you to warm up in the morning. Your heated cushion will do that for you. If you have a job that requires you to sit at a desk, be sure to remain active in your spare time. I know, it is easy to spend your nights and weekends on the couch in front of the television after you have worked all week. However, it will not do your body any favours. Walk to work if you can and/or practice a sport that you enjoy such as swimming. Although, if you are suffering from back pain at the time, be cautious about what exercise you choose and do not strain yourself. 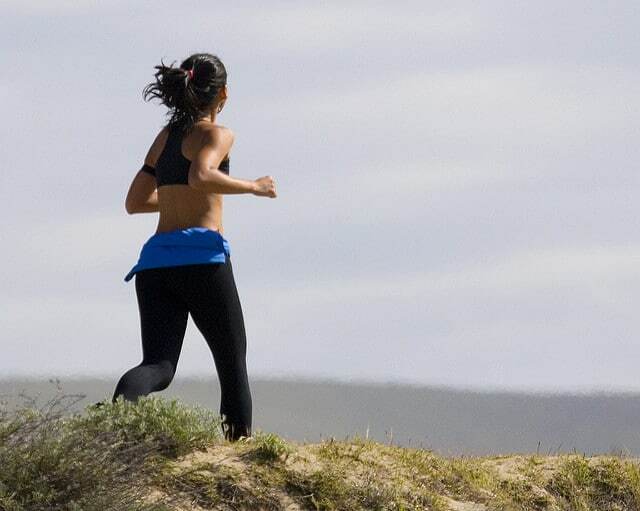 It is important to ease your body into new activities to be able to continue with a routine and reap the benefits. In conclusion, the best solution for back pain is to try your best to prevent it. Be sure to keep mobile but do not overdo it. Back pain can cause emotional stress as well as bodily stress. It can prevent you from carrying out basic daily tasks and can become a very frustrating burden to carry. It is essential that you choose a comfortable and adjustable chair for your workspace. Furthermore, maintain a healthy lifestyle and discover the best exercises suited to you that ease your discomfort. Most importantly, listen to your body.